Dillian Whyte takes on Lucas Browne on March 24 at the O2 Arena in London. It's an important heavyweight matchup that could decide the next challenger for a big-time heavyweight title spot. Browne is unbeaten at 25-0 (22 KOs), but at 38 and with some recent drug test issues, his career needs a good development. A win over Whyte would certainly provide that, but the 29-year old "Body Snatcher" is a talented and hard-hitting up-and-comer with big hopes of his own. Let's break down this matchup in this Whyte-Browne betting preview. Whyte, 29, turned pro in 2011 after a brief amateur career and some time spent pursuing MMA, where he won his only pro bout. In the amateurs, he beat current champion Anthony Joshua, who he later lost to in the pros in his only defeat in the paid ranks. After building up to 9-0, a drug ban kept him out of action for two years. He returned in 2014 and by 2015, was a top domestic talent, getting a shot at Joshua in a big all-English heavyweight matchup. Whyte definitely hurt Joshua and wasn't far from a win, but a shoulder problem and the prodigious power of Joshua eventually led to a 7th-round TKO loss. Six straight wins have led to this spot, including nice wins over Dereck Chisora and Robert Helenius. Browne, 38, has had some similar career details, namely that he was an MMA fighter and had some issues with drug tests. In his only title fight, he stopped Ruslan Chagaev, but was stripped for banned substances. He had an 8-fight MMA career where he lost to current UFC champion Daniel Cormier by TKO in 2010. He began to focus more on boxing and despite his advanced age and late start, started putting together some nice wins. In 2013, wins over former champion James Toney and Travis Walker underlined his potential. The win over Chagaex was nice, but overturned. In his only action since then, he has scored a June 2017 TKO over journeyman Matthew Greer. Browne is an easy guy to overlook. He looks more like a bouncer than a leading heavyweight contender. He's pushing 40 and looks it, with first impressions being that he's just a slugger. While punching power is a big part of his profile, there is a cuteness to his boxing that belies first impressions. He's pretty tricky in the ring and accompanying his power is a lot of movement that makes him hard to pin down. He's a lot shiftier than what people expect, though he's not the purest and most-fluid boxer. Browne jumps in suddenly and looks to ambush his opponents with shots. Still, opponents can't seem to hit him with their best shots, as Browne scoots around the ring really well and makes himself a difficult target. The two failed drug tests at his age suggest a confidence problem or the possibility that he's struggling in his old age to keep up physically. For the record, both he and Browne deny any wrongdoing. Whyte has a lot going for him. A dangerous fighter who would appear to be a good opponent for any of the champions, he will have to earn it to justify high-profile fighters taking the risk against him. He's a big man with savvy and skills. He has a lot of power. Against Joshua, who many feel is the top big men in the world, he was on the precipice of a win. And if it's true that a hurt shoulder took him out of the fight, one can only wonder what might've been. And his subsequent wins suggest a fighter with realistic championship hopes. There are a few items of concern from how I see it as it pertains to Whyte. He uses a lot of pre-fight tactics, namely a vitriolic verbal approach to his opponents. He has not been shy about calling Browne a drug-cheat, despite Whyte's own failed drug test. He attracts a lot of attention with his mouth and you always have to wonder about fighters like that and if maybe that is what made them so high-profile. While he does have some good wins and his talent is evident, his main claim to fame is a loss. This is a bottom-line business and while it's nice that he had Joshua in trouble, he didn't get it done. Is he a winner at this level? Or is he a guy with a big mouth who can't be counted on to prevail at the top reaches of the division. Still, picking Browne is not all that easy in this spot. He is coming to Whyte's stomping grounds in London. He is getting up there in years and hasn't been very active. For a fighter his age, his best win being over Chagaev and him getting stripped for a dirty drug test doesn't bode well. Despite being nearly a decade Whyte's senior, this would appear to be a bigger jump in class for him than it is for Whyte. It's a tough road-spot for Browne, but I feel the odds justify taking a leap-of-faith. I think Browne is better than people think and his chances of winning surpass what the odds suggest. I'm taking Browne. 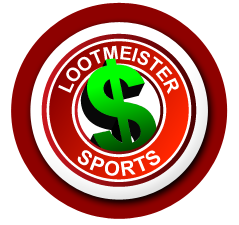 Loot's Pick to Win the Fight: I'm betting on Lucas Browne to win at +315 betting odds. Bet this fight for FREE by taking advantage of a massive 100% sign-up bonus on your first deposit of $100 to $500 at GTBets!